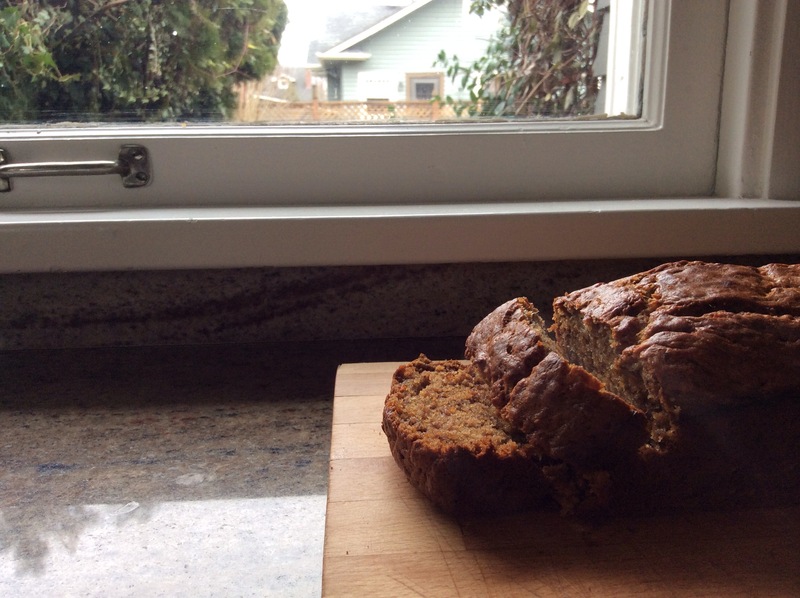 Banana bread is one of my favorite things. Ever. And no- not the chocolate-swirled, berry-dotted, crumble-topped banana bread. 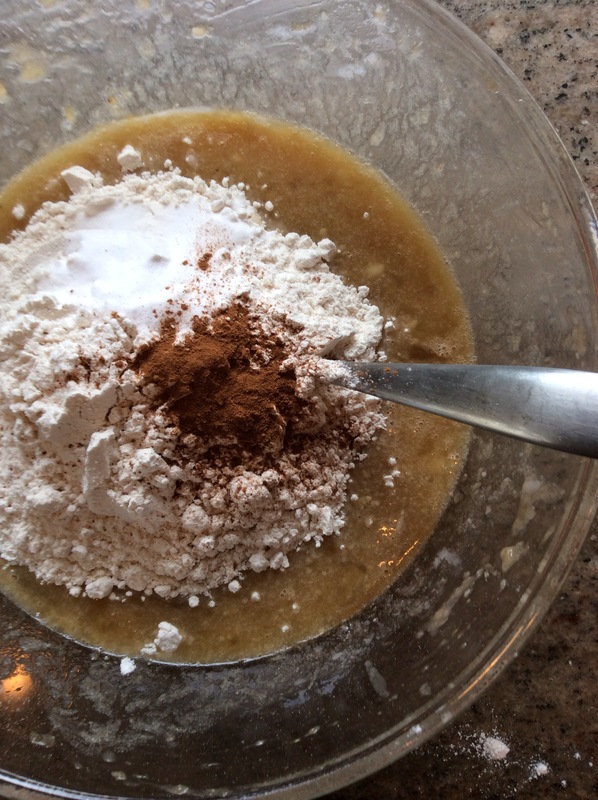 Here, I stick to the simple banana, oil, sugar, and flour type. The breakfast then dessert type that’s gone in a day. Yeah, just my type. Despite the summer heat, which is getting way too high, in my opinion, this bread will make you want to curl up on the sofa with a fuzzy blanket and a cup of cocoa. This is more of a fall recipe, but so what? I just remembered something. There is a handy trick to getting bananas perfectly ripe. Just bake them in the oven at 350 degrees Fahrenheit, until both sides get dark, dark brown. 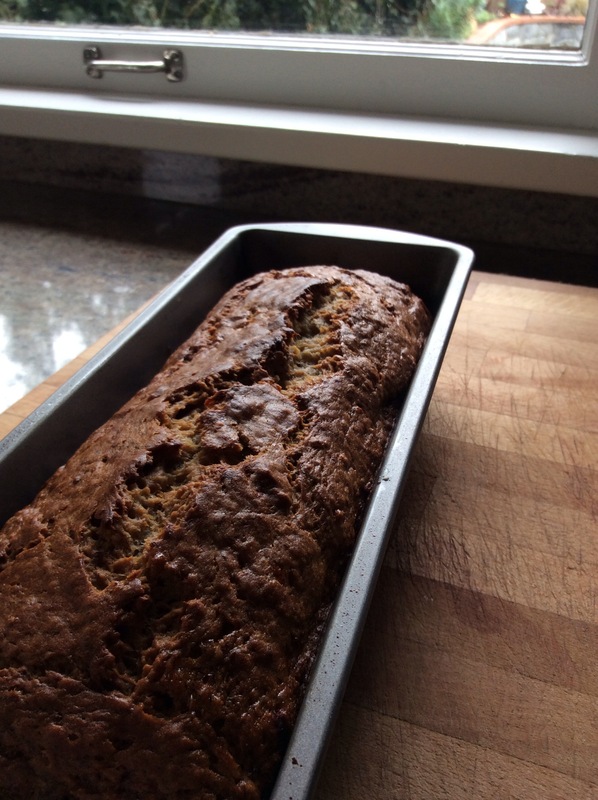 Then use as a regular ripened banana! Easy right? Gotta love life hacks. 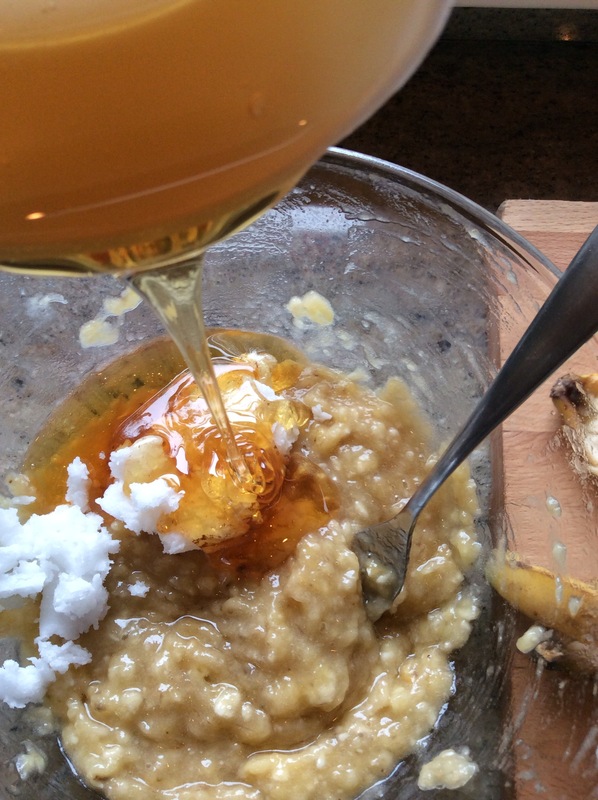 Beat together the bananas, oil, honey, maple syrup, and eggs with a hand mixer or fork. Add in the rest of the dry ingredients, except the walnuts, and stir until just combined. Then, fold in the nuts. Bake in a greased loaf pan for one hour (cry face) or until golden brown and a skewer through the middle comes out clean. Any loaf pan would work, given at least an inch to rise. Cool in pan and serve warm or at room temperature, either plain, or with a smear of butter.